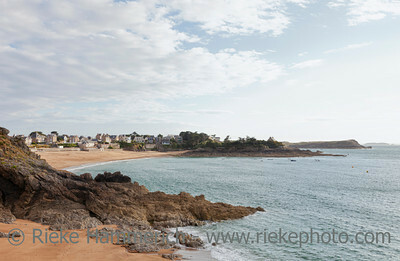 SAINT-MALO, FRANCE - JULY 6: People at the Bon-Secours Beach in front of the tidal island Petit Be in Saint-Malo, France on July 6, 2011. 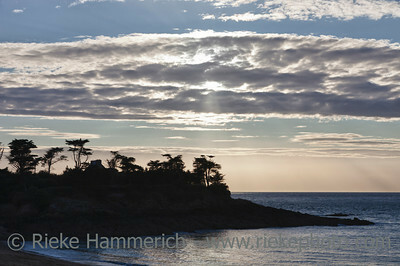 The fort was built in the 17th century and designed by Vauban. 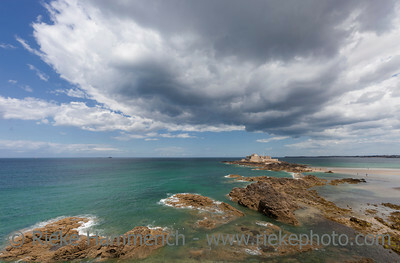 SAINT-MALO, FRANCE - JULY 6: High angle view of Intra Muros, the old town of Saint-Malo, France on July 6, 2011. 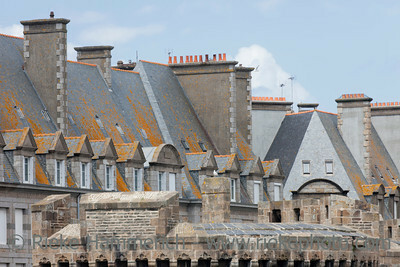 Today Saint-Malo is the main tourist attraction of Brittany in France. SAINT-MALO, FRANCE - JULY 6: People enjoying the beach in front of the tidal island Petit Be in Saint-Malo, France on July 6, 2011. 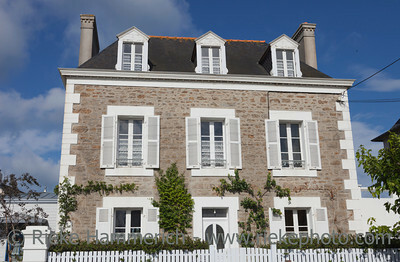 The fort was built in the 17th century and designed by Vauban. 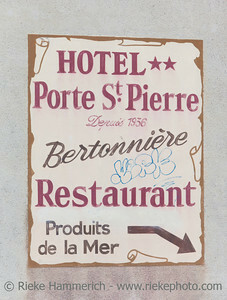 SAINT-MALO, FRANCE - JULY 6: Vintage billboard of Hotel Porte St. Pierre in Saint-Malo, France on July 6, 2011. 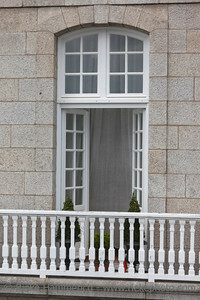 The hotel is located in the heart of the historic town. 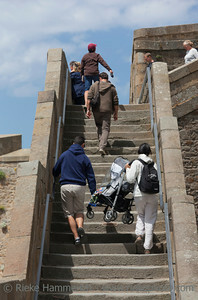 SAINT-MALO, FRANCE - JULY 6: People climbing steps in old town of Saint-Malo, France on July 6, 2011. Parents are carrying a chicco baby stroller with their child upstairs. 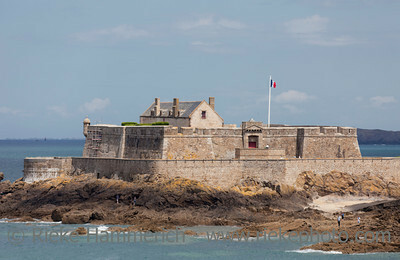 SAINT-MALO, FRANCE - JULY 6: Fort with tourists on tidal island Petit Be in Saint-Malo, France on July 6, 2011. The fort was built in 17th century. It was part of the defense belt designed by Vauban. 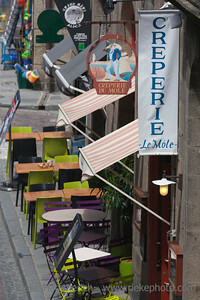 SAINT-MALO, FRANCE - JULY 6: High angle view of creperie ‘Le Mole’ in the old town of Saint-Malo, France on July 6, 2011. 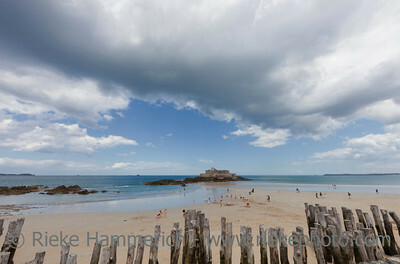 Today Saint-Malo is the main tourist attraction of Brittany in France. 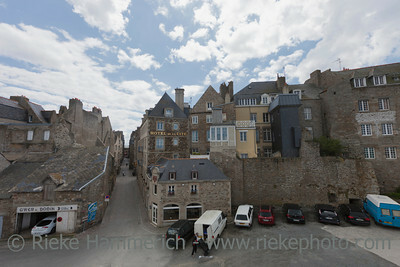 SAINT-MALO, FRANCE - JULY 6: View from the city wall over car parks and Intra Muros, the old town of Saint-Malo, France on July 6, 2011. 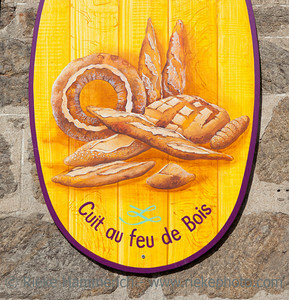 Today Saint-Malo is the main tourist attraction of Brittany. 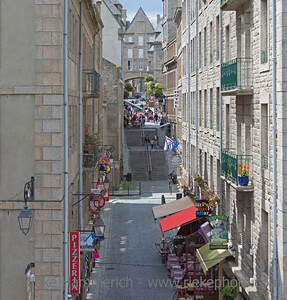 SAINT-MALO, FRANCE - JULY 6: High angle view of an alley with restaurants and shops in Saint-Malo, France on July 6, 2011. 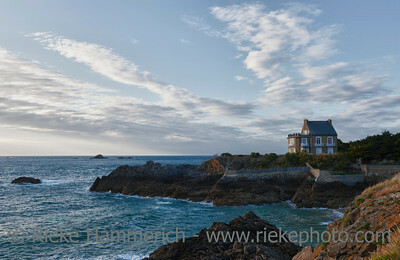 Today Saint-Malo is the main tourist attraction of Brittany in France. 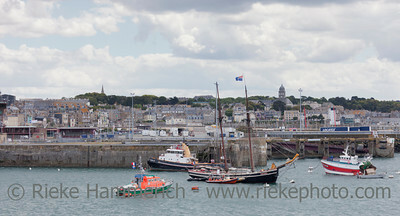 SAINT-MALO, FRANCE - JULY 6: Sailship ‘Etoile de France’ and other ships anchored in the Port of Saint-Malo, France on July 6, 2011. Cross-channel cargo has significantly increased. 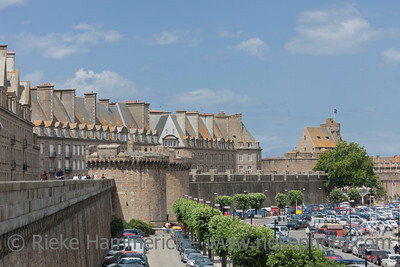 SAINT-MALO, FRANCE - JULY 6: Medieval castle built in 14th century with tourists in the old town of Saint-Malo, France on July 6, 2011. 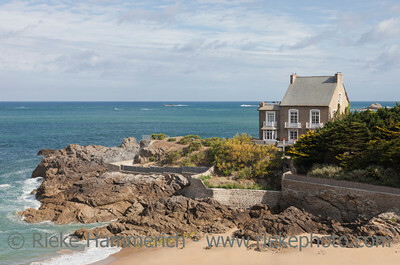 Saint-Malo is the main tourist attraction of Brittany in France. 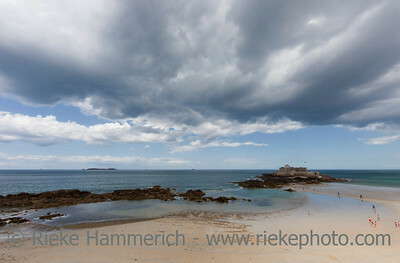 SAINT-MALO, FRANCE - JULY 6: Frigate ‘L’etoile du roy’ anchored in the harbor of Saint-Malo, France on July 6, 2011. 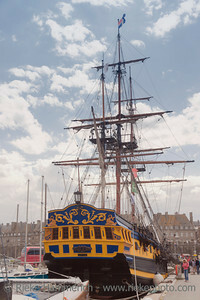 This ship was built 1996 as a Nelson age warship for the Hornblower TV series. SAINT-MALO, FRANCE - JULY 6: High angle view of Place Chateaubriand with restaurants and hotels in Saint-Malo, France on July 6, 2011. 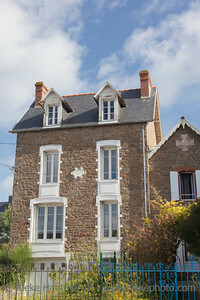 Saint-Malo is the main tourist attraction of Brittany in France. 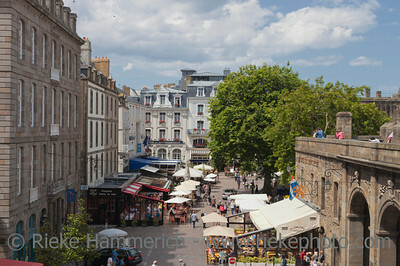 SAINT-MALO, FRANCE - JULY 6: High angle view of Rue Jaques Cartier with restaurants in Saint-Malo, France on July 6, 2011. 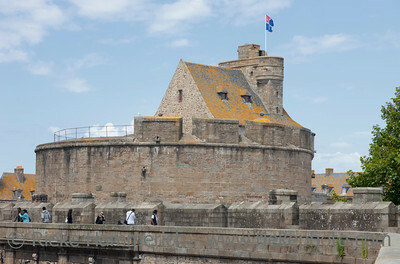 Saint-Malo is the main tourist attraction of Brittany in France. 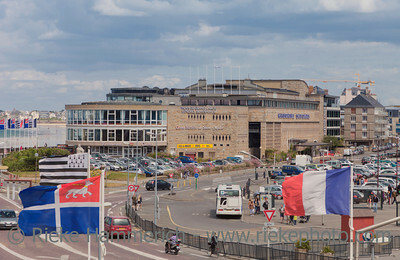 SAINT-MALO, FRANCE - JULY 6: Conference center Le Grand Large in Saint-Malo, France on July 6, 2011. It organizes meetings, seminars, conferences, shows, conventions and general meetings. 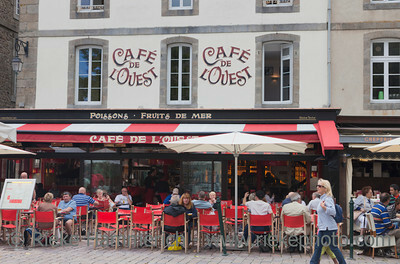 SAINT-MALO, FRANCE - JULY 6: Cafe de l’Ouest in Saint-Malo, France on July 6, 2011. 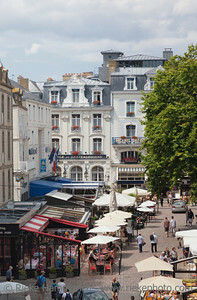 The cafe is located on the Place Chateaubriand and famous for their seafood. 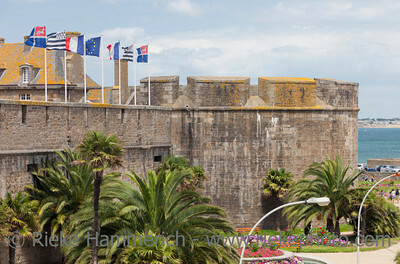 SAINT-MALO, FRANCE - JULY 6: Ramparts and medieval castle built in 14th century in the old town of Saint-Malo, France on July 6, 2011. 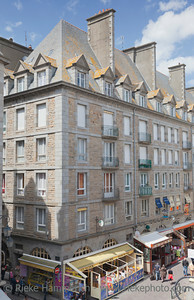 Saint-Malo is the main tourist attraction of Brittany in France. 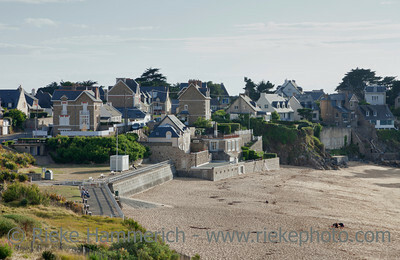 SAINT-MALO, FRANCE - JULY 6: People at the beach Plage du Val in Rotheneuf, a suburb of Saint-Malo, France on July 6, 2011. 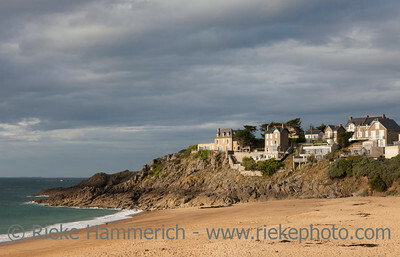 The village Rotheneuf is a seaside resort and famous for its sculpted rocks.